Gelato is synonymous with Italy. 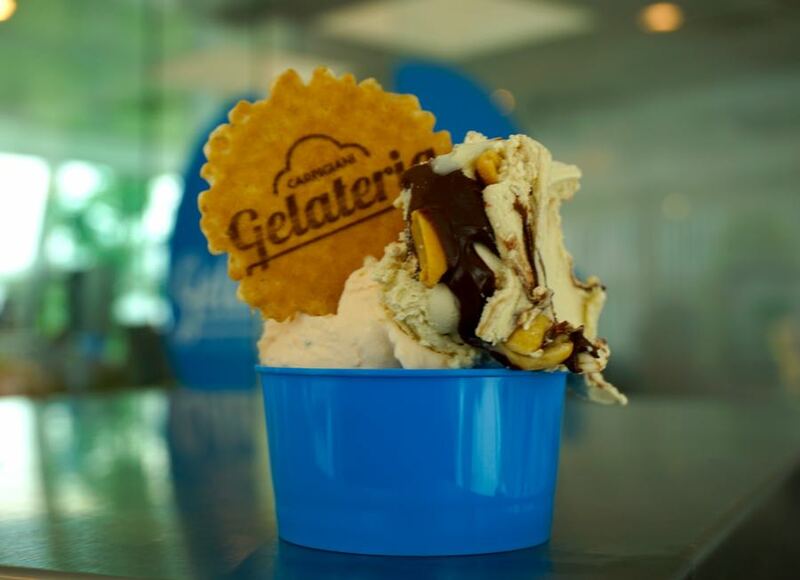 While some Italian food dishes are very regional, you’ll find gelato shops throughout all of Italy. On a sunny afternoon in any Italian city, I challenge you NOT to find someone walking along, eating a few scoops out of a cone or cup. And, you’ll be drawn into shops by the incredible array of flavors and colors displayed so you can’t help but notice them from the street. While the norm in our native US is to pick your one favorite flavor, in Italian gelato shops you choose multiple flavors in a single cone or dish, trying to determine ahead of time which flavors will best complement or offset each other. And, while we don’t typically search out sweets, we’ve spent a fair amount of time exploring the gelato shops here. 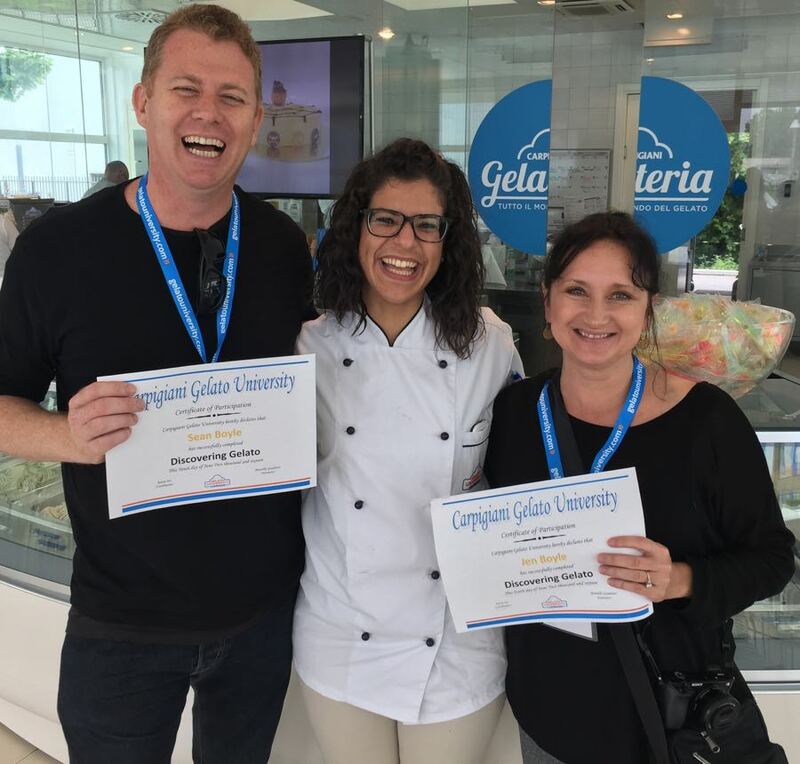 So, when we had the chance while in the Emilia Romagna region in Italy to visit a real gelato university , where we would be taught at the same school that has certified many professional gelato makers, we jumped at the chance. 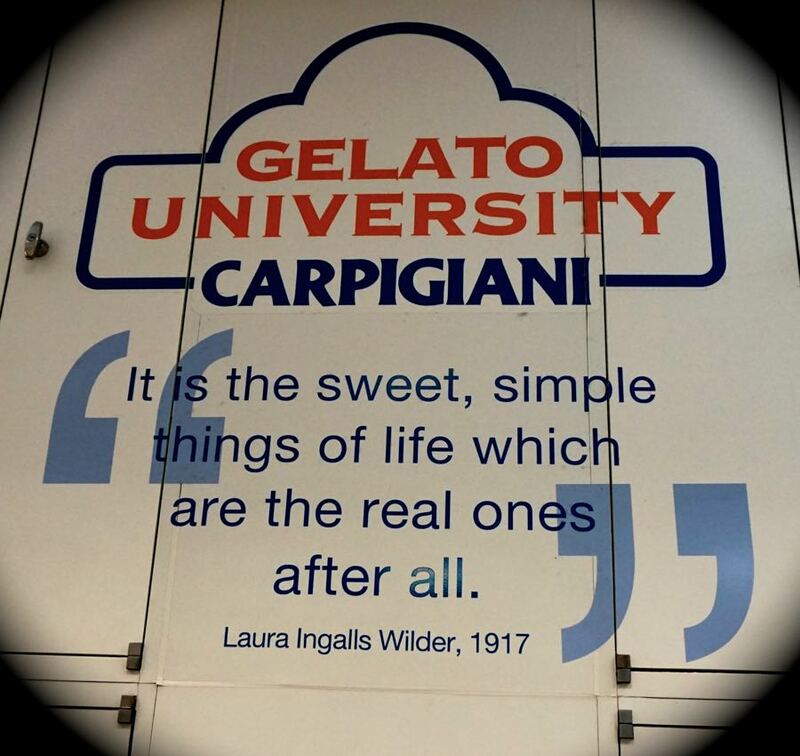 In 2003, the Carpigiani Corporation and the University of Bologna worked together to create the first university course dedicated to gelato. As makers of gelato manufacturing equipment, as well as gelato lovers, the Carpigiani staff want to grow awareness (and love) of its favorite dessert all over the world. The University offers a four week courses that includes an internship in their on-site shop. We observed many serious looking students working with their chef/professors in the classrooms, working hard to become a “gelatiere”. I couldn’t help but admire the great business model of a manufacturer branching out into educated potential customers in the use of their machinery to open their own business. And, the model seems quite successful: the university has tripled their number of students in three years, and have organized over 400 courses in 10 languages in that time. 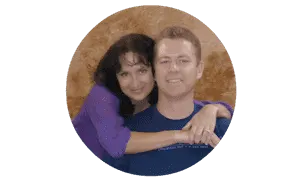 They’ve created satellite campuses around the world as well. For our visit, we were doing a far more abbreviated one day class. Although, I have to admit, a month of gelato tasting sounded pretty good, too. We started our experience by heading to the school’s museum highlighting the history of gelato, and manufacturing equipment. We traced the sweet treat back to its humble beginnings (hint: find snow, add fruit juice), to it’s popularity among the wealthy upper class (who could afford to have servants run down from the mountain with ice), to technological advancements that made it more accessible to the masses. 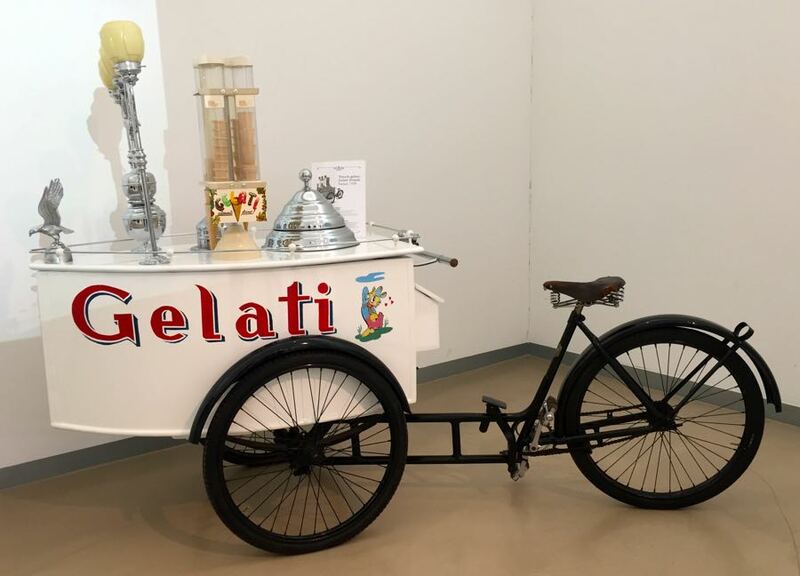 The second portion of the museum was devoted to the history of technology in gelato making. 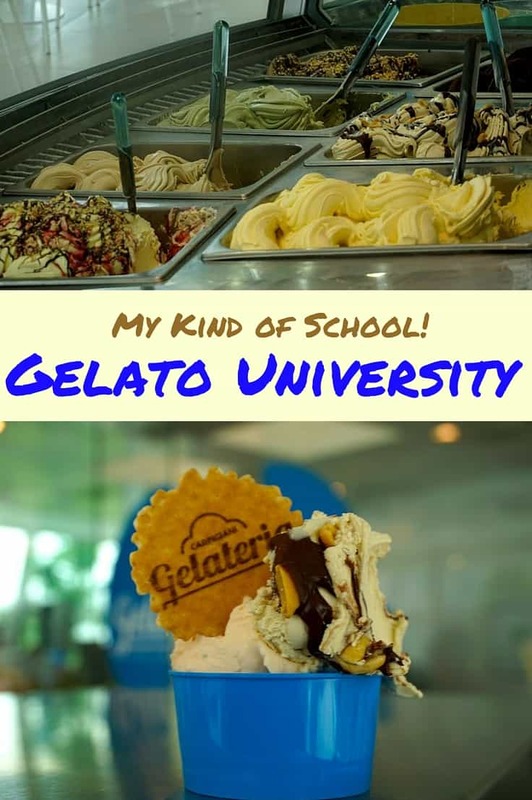 This is not surprising, since the university was started by the Carpigiani company, one of the world’s largest manufacturers of gelato machines. Isn’t Gelato Just Italian Ice Cream? At it’s core, making gelato (and ice cream, for that matter) by hand starts with a bowl full of ice or snow, with rock salt added (Why the salt? To keep the temperature below freezing.). You place your ingredients in a second bowl (metal, ideally, so it conducts the cold better), nestled inside the ice mixture. And then, you stir until the ingredients thicken due to the cold. 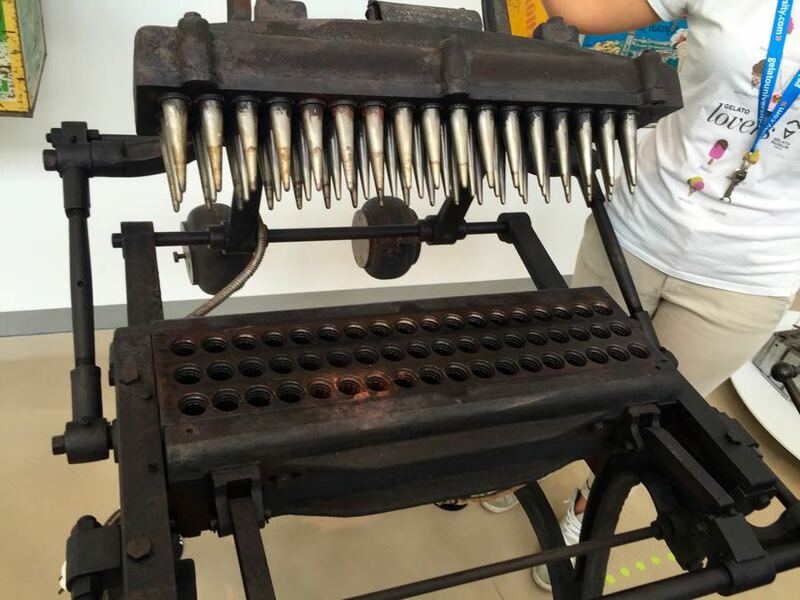 We had the chance to make the creamy cold confection by hand, using the method above, as well as using one of the modern Carpigiani machines. As one of the people tasked with “stirring”, I can honestly say that the technological advances, if nothing else, make gelato-making far less arm tiring exercise! Our hand stirred version was a delicious melon flavored with basil. At first I thought this would be a strange combination, but the basil complemented the fresh, sweet melon very well. And, our professor explained to us, this was not the most creative flavor that the students at the school had devised. They’ve made gelato with almost every unlikely ingredient you can imagine, from Parma ham (“the sweetness of the ham works well”) to Mortadella (“it might take getting a little used to”). At the end of our short day at the school, we weren’t quite ready to open our own gelato shop – but we left with a much greater appreciation of the thought and energy that goes into making this incredible snack. 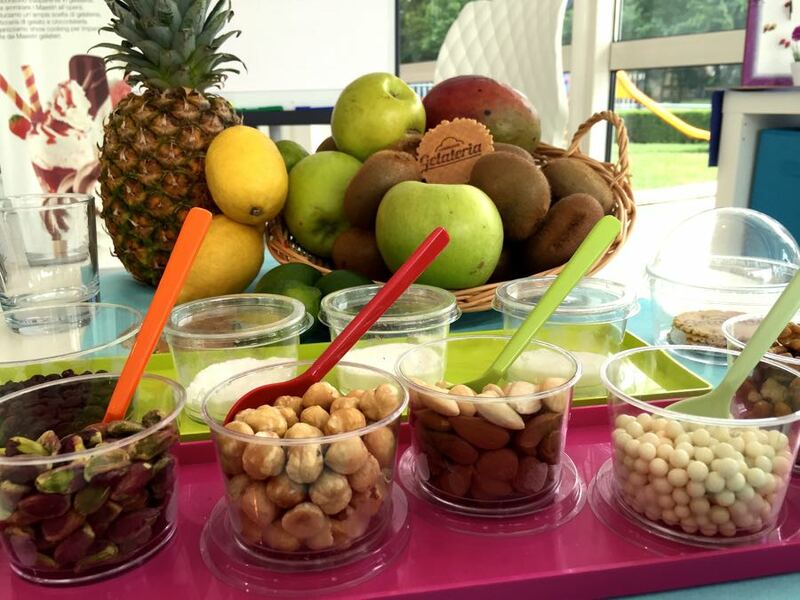 And, of course, we also left stuffed after tasting all gelato flavors the school shop had to offer! We attended this class as part of the Blogville Project in coordination with the Emilia-Romagna Tourism Board.